Midway workers prepare for the 39th annual Corn Fest by setting up various activities on Thursday, August 25, 2016 in Dekalb. Corn Fest will be held Friday, August 26 though Sunday, August 28. 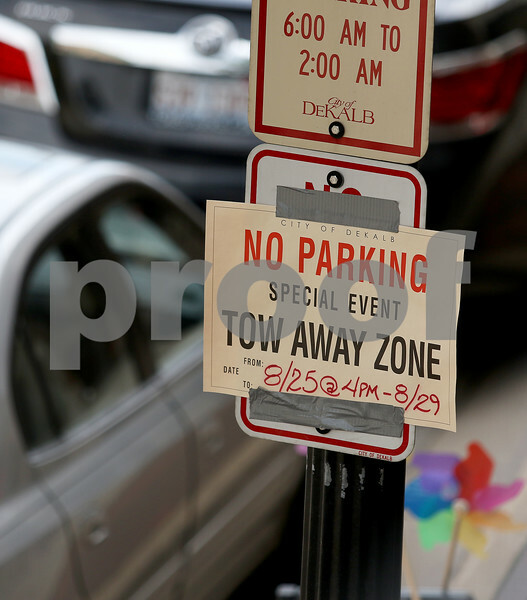 A temporary no parking sign on Lincoln Highway warns motorists of the parking restriction on Thursday, August 25, 2016 in Dekalb. The 39th annual Corn Fest will take place downtown from Friday, August 26 through Sunday, August 28.